Not a creature was stirring, huh? 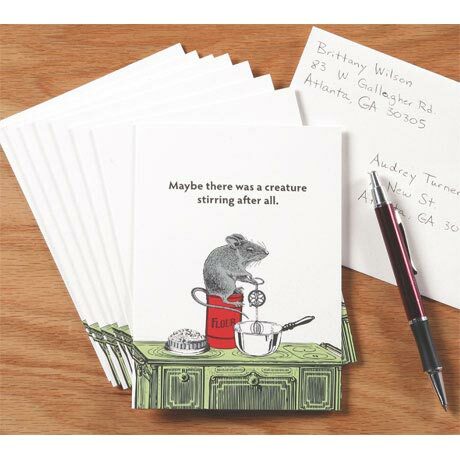 Our adorably droll Stirring Mouse Cards beg to differ! A wonderful illustration of a diligent little mouse hunched over a hand-mixer - below the phrase "Maybe there was a creature stirring after all" - makes a witty retort to Clement C. Moore's classic line from "The Night before Christmas." 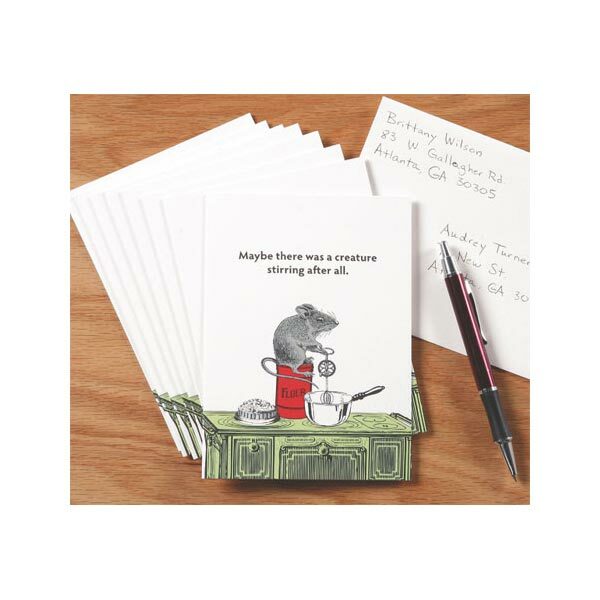 The lime green vintage stovetop and bright red can of flour add subtly festive color to these original, recycled-paper holiday cards, which open to read "Enjoy every morsel of the Season!" Encased in a sturdy cardboard box, set includes eight 6" x 4 1/2" cards and envelopes.